Where to Buy Fresco PGR, Fresco PGR Promalin for Lilies and Poinsettias - Qt - $139.95 for Sale with Fast Free Shipping! Fresco PGR Promalin for Lilies and Poinsettias - Qt is a plant growth regulator for the reduction of lower leaf yellowing in lilies and poinsettias. 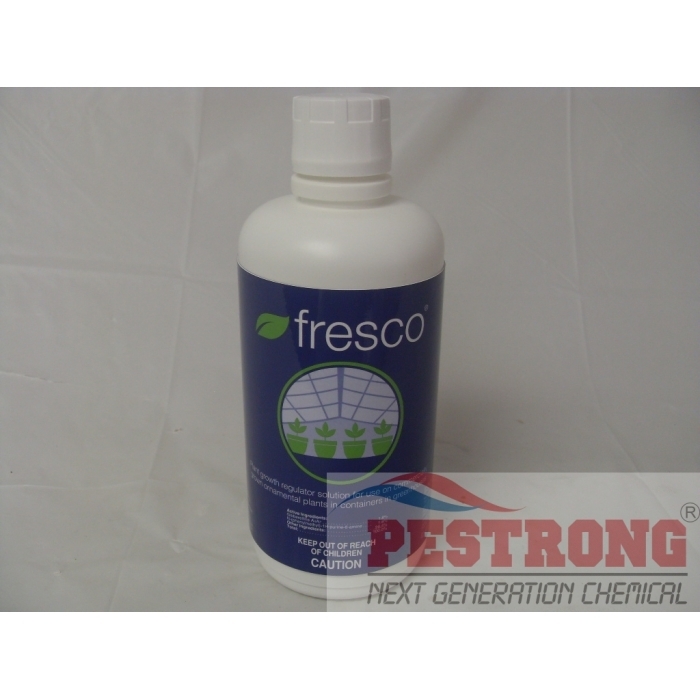 By making plants more presentable, Fresco helps growers produce even greater numbers of top quality marketable plants. Fresco is approved for reduction of leaf yellowing in Easter lily, LA hybrid lily and Asiatic lily. Fine is undertaking work to extend the fresco label to cover other ornamental plant species. A number of factors can result in treatment variability; including: growing conditions and plant cultivar. Therefore, before commercial use, first time users of fresco should conduct initial trials on a small number of plants for each variety starting with a 3/3 ppm rate. If a desired effect is not achieved, or if previous experience warrants, rates of up to 10/10 ppm may be applied. This works really really well. Make sure to follow the label's directions and use sparingly. Very little goes a very long way. Too much of the pgr and it will overexert the affected plants and can make things worse. So go slow, go methodically, and go smart, and you will get the best looking plants ever.